Happy Monday! I hope those who celebrate Easter had a fantastic holiday and for those that don't, I hope your weekend was fabulous. Last week was pretty amazing and I'm excited to recap it for you. Let's start with my book haul. It felt like I received books, yes books, almost everyday. 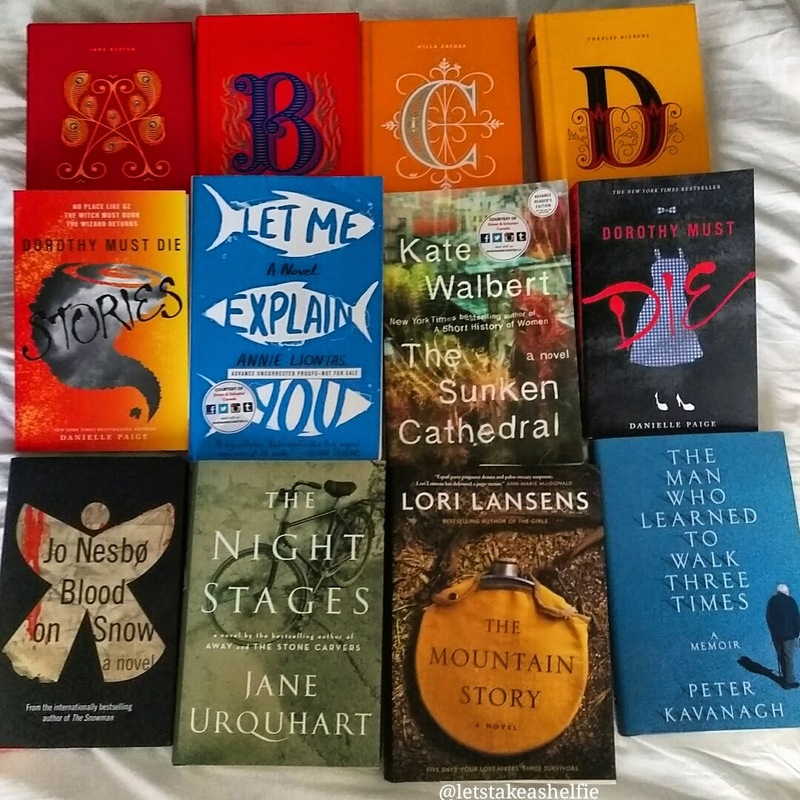 My April review books arrived from Random House Canada, a surprise review book from Simon and Schuster and one of my Goodreads giveaway prizes all arrived in my mailbox over the course of the week. All of this, on top of my birthday book haul! I think I'm on a book buying ban until I get through all of these. The Hand That Feeds You: A Novel by A.J. Rich - A thriller novel which makes you question how well you know the ones you love. Inside The O'Briens: A Novel by Lisa Genova - From the writer of Still Alice, this book follows the life of a Boston Police Officer who is diagnosed with Huntington's disease. The Sunken Cathedral by Kate Walbert - My least favourite of last week. A story about several New Yorkers and their struggles to adapt to their constantly changing city. Blood on Snow by Jo Nesbø - A crime thriller novel about a hitman who runs into trouble after he falls in love with his latest mark. I don't think this week will be as successful as last, but I plan to read two of the books pictured above. Night Stages by Jane Urquhart and The Mountain Story by Lori Lansens. They are scheduled for release on April 7 and April 14 respectively. So far this month there have been a ton of releases that I'm excited to dig into. What are your most anticipated April reads? I think you will enjoy Dorothy Must Die. I have seen Night Stages at Chapters, I may wait to see what you think before I commit to buying.